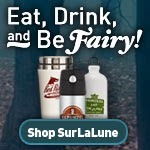 SurLaLune Fairy Tales Blog: Salon.com Asks Jack Zipes "Are dark fairy tales more authentic?" Salon.com Asks Jack Zipes "Are dark fairy tales more authentic?" There's long been a "survival of the fittest" aspect about folklore. Just as animals evolve and become better adapted to their environments over time, stories such as "Snow White" and "Beauty and the Beast" have weathered many centuries, improving -- and becoming better suited to contemporary audiences -- over the course of their many reimaginings. These stories have entertained and comforted, spooked and delighted audiences for countless generations. Many who are alive today find Disney's adaptations of these tales -- from "Cinderella" to "The Little Mermaid" -- familiar; children reared on the animation giant's brightly-colored, upbeat and music-saturated films may view the glut of live-action fairy tale film adaptations headed our way -- three new "Snow Whites," two "Sleeping Beauties," a "Beauty and the Beast" and a "Little Mermaid," among others -- with a curious sort of caution. A number of these films (which are in various stages of planning and production) have been pitched as "dark" retellings of familiar tales. At this year's Comic-Con, Charlize Theron likened her "Evil Queen" character in "Snow White and the Huntsman" to a "serial killer" (not a total departure for Theron); the new "Little Mermaid" is based on Carolyn Turgeon's novel "Mermaid," which Booklist reviewed using words and phrases like "dark," "foreboding," "heartache," "misery," "constant pain," "catastrophic consequences," "brooding," "tragic" and "not exactly a cozy bedtime story." Does this "dark turn" in fairy-tale filmmaking represent a return to older, more forbidding versions of stories Disney gussied up for 20th-century kids? Or are these new movies simply cogs in the wheel of folk tale re-telling? For answers, I turned to Jack Zipes, an emeritus professor at the University of Minnesota and prolific author whose books include "The Oxford Companion to Fairy Tales " and "The Enchanted Screen: A History of Fairy Tales on Film ." What follows is an edited and condensed transcript of our conversation. That's the introduction. You'll have to click through to the article to read the conversation with Zipes. And if you want his opinion on Disney, Hoodwinked , Red Riding Hood and others, be sure to read the entire thing.